Join us for a festival tasting of both beer and wine while enjoying live music and food, in the picturesque setting of the Park’s Freedom Garden. Live music will be performed by Mid-Atlantic bands Rhythm Kings and Joe’s Day Off. Food vendors will be available to satisfy hunger, while craft vendors will offer amazing locally produced merchandise and goods for sale. Tickets are $25 in advance and you can purchase your tickets online today by clicking Tickets. Tickets will also be available at The Bucket Trade in Old Towne Petersburg, VA or at the Park’s admission office. Tickets will also be available after 9/14/18 for $30 and at the gate. Non-tasting tickets are available at the regular admission price and all tickets include admission to the Park and the festival. Each ticket includes five beer tastings and five wine tastings, along with a collectible beer cup and special event wine glass to take home. Additional tastings can be purchased for $5.00 each. Chairs and blankets are welcome but, no coolers or tents are allowed. Valid identification is required upon entry for proof of age to consume alcohol. 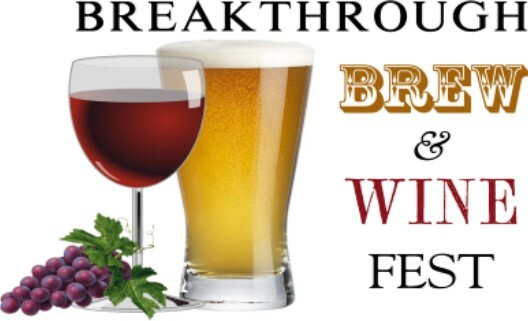 Sponsorship opportunities are now available by clicking Breakthrough Brew & Wine Fest Sponsorship. One of “Virginia’s Best Places to Visit” according to the Travel Channel, and designated as a National Historic Landmark, Pamplin Historical Park & The National Museum of the Civil War Soldier is a 424-acre Civil War campus located in Dinwiddie County, Virginia offering a combination of high-tech museums and hands-on experiences. The Park has four world-class museums and four antebellum homes. The Park is also the site of The Breakthrough Battlefield of April 2, 1865 and America’s premiere participatory experience, Civil War Adventure Camp. Special thanks to our donors and sponsors for making this festival possible.